The beginning of school is just around the corner and it is time to begin setting up your Google Classroom. When you create a class in Google Classroom, Google automatically creates a header for your Classroom. Once you have multiple classrooms, it is beneficial to be able to quickly differentiate between your classes by the image. 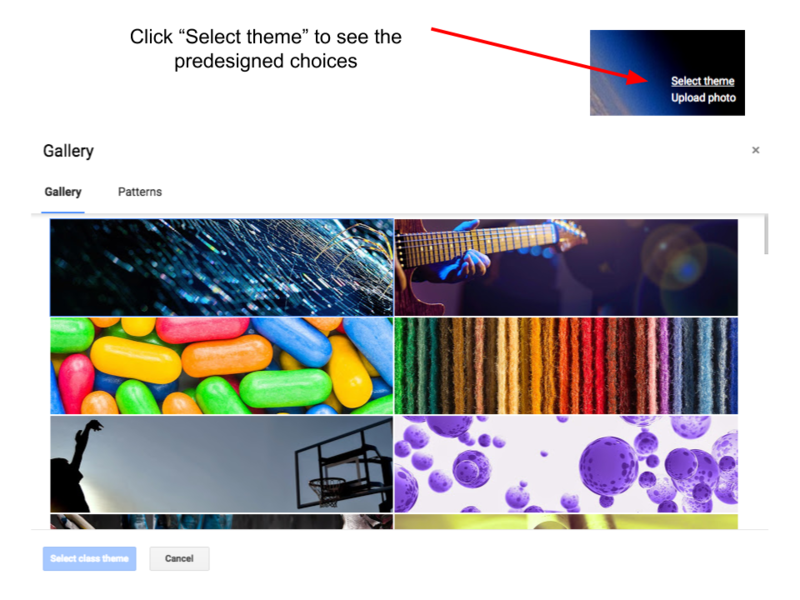 You can change the image to one of Google's themes. In addition to selecting a theme, you can also choose from colored patterns. If you have a class color, this may be the quickest way to distinguish your classrooms.